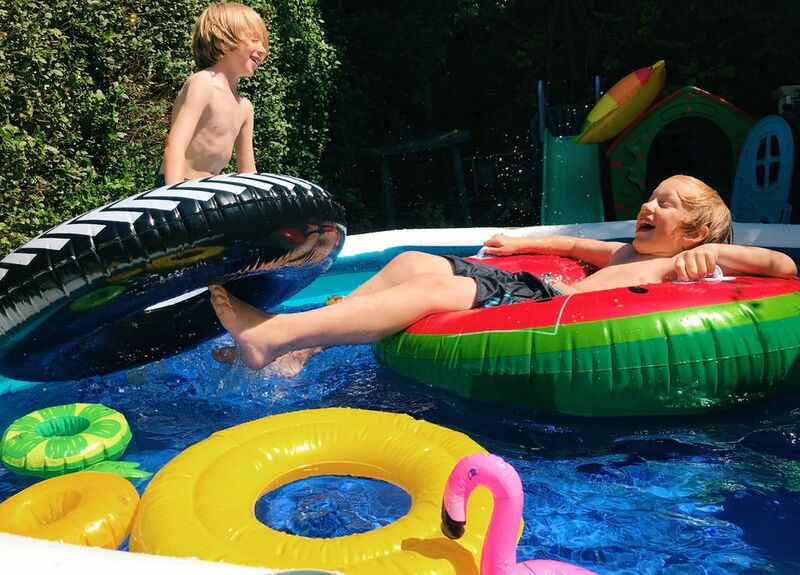 As lovely as in-ground pools sound, they're not always feasible to install in the backyard, whether it's because of the cost, the space available, or the type of soil in the back. An above-ground pool, however, could be an option for enjoying the water during warmer months. Above-ground swimming pools range from economical models to more luxurious (and expensive) styles. Many can be enjoyed throughout the year, and some use saltwater systems, which are popular with in-ground models. Above-ground pools also have options for solar heating systems and energy-efficient covers. Contemporary models may have upgraded features that are usually seen in in-ground models, including advanced filtration systems and pumps to keep them clean. However, even above-ground pools that have built-in systems need a little hands-on work regularly to stay clean and in good working condition. It's tempting to put off above-ground pool maintenance, but you will pay for it later through water problems or pool liner issues, which are expensive to fix. To ensure that you're taking proper care of the pool, follow a daily and weekly pool maintenance checklist. Test the pH level to ensure it's between 7.4 and 7.6. Test the chlorine level, which should be between 2.0 and 4.0 ppm. Run the pool filter for 12 to 18 hours. Check the water level, which should be around mid-skimmer. Check filter pressure and pump operation. Test total alkalinity to make sure it's between 80 and 120 ppm. Skim the surface, vacuum, and brush the pool. Properly dose with algaecide, clarifier, and metal control. 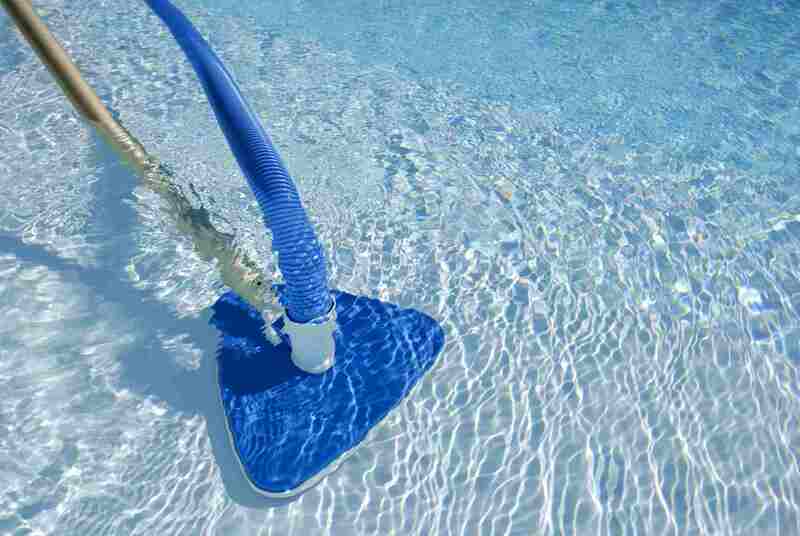 Clean the pool deck and surrounding area. If the pressure gauge rises 7 to 9 psi, backwash or clean the filter. Above-ground pools have issues with water circulation, which can allow algae to breed. This is particularly evident in the dead spots of the pool, which typically have bad circulation, including behind ladders, around steps, under the skimmer, and in any cracks, crevices, or creases. The pool's pump circulates the water, but sometimes it doesn't do a great job in these dead spots. You can improve the situation by installing return jets that are multi-directional but keep a pool brush on hand to manually circulate water, too. The pool walls need care just as much as the water inside of them. Avoid letting guests sit on the edges or top rail of the pool, which can cause damage and crease or crack the sides. Other hazards that could hit the walls of the pool include falling tree branches and kids that are throwing objects or riding bikes around the pool. Cleaning the pool thoroughly, and adding a winter chemical kit to the water. Removing chemicals, cleaning supplies, and the pool's ladder to store in a safe, dry area. Running the filter for one hour before disconnecting the motor and pump, also to be stored in a safe, dry place. Lowering the water level to below the return and skimmer. Don't drain the pool entirely, as it can be damaged by hydrostatic pressure. Adding pool anti-freeze—not automobile anti-freeze—to the plumbing and installing threaded winter plugs to keep water out of the pipes. Covering the pool with a winter cover.